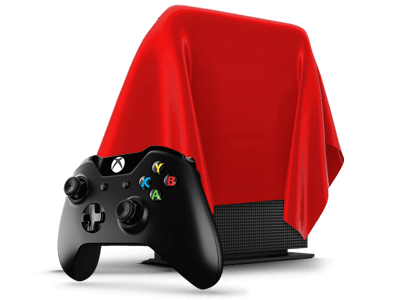 Collect 100 points & get* the Xbox One X, Upon Release! Program Requirements – Updated March 23, 2017. To earn an incentive, you must: 1) be a U.S. resident 18 years or older; 2) provide accurate and complete registration information; 3) complete the survey questions; 4) view optional offers; and 5) complete the requisite number of Silver, Gold and Platinum offers which are split into two tiers based on the incentive’s value. For Tier 1 incentives with a value of $100 or less, complete 1 Silver, 1 Gold and 2 Platinum offer. For Tier 2 incentives with a value of more than $100, complete 1 Silver, 1 Gold, and 8 Platinum offers. You must complete all offers within 20 days from when you complete your first offer. Completion of offers usually requires a purchase or entering into a paid subscription program for goods or services. Incentives are limited to one incentive of any kind per household (persons living at the same address) within any twelve calendar month period provided you must wait 24 calendar months after you claim a Tier 2 incentive before you can claim another Tier 2 incentive. The Representative Offer Chart describes the terms of several offers including a description of the offer, the initial commitment, ongoing obligations and how to cancel. We reserve the right to substitute a gift card of greater or equivalent value for any incentive. Failure to submit accurate registration information, complete the survey questions or comply with claim verification process will result in disqualification. SOLVING A PUZZLE, PROVIDING YOUR REGISTRATION INFORMATION, COMPLETING THE SURVEY OR VIEWING OPTIONAL OFFERS WITHOUT COMPLETING THE NUMBER OF REQUIRED OFFERS SPECIFIED ABOVE DOES NOT QUALIFY YOU FOR AN INCENTIVE. We verify your registration information and if it’s inaccurate, the pages with the Gold, Silver and Platinum offers may not be displayed. If that happens, you won’t be eligible to earn an incentive.